This important article was written after my first Nature Genetics paper. It was original published at elsewhere in January 2017, where it had become one of the most viewed forum topics. Since then, this contribution has highlighted cancer as one of the Icons of Evolution, and its true. Cancer is only possible because life evolves. Cancer biology showcases in observable timelines the most important mechanisms of evolution, including the origin of species and neutral theory. Of note, “Darwinism” is not modern evolutionary science. In many ways, positive selection on beneficial mutations (Darwinism as it is often understood), was falsified as the dominant mechanism of evolution in the 1960’s. This, of course, raises questions about why so much effort is invested in arguing against a long falsified theory, instead of engaging modern evolutionary science. Moreover, this is the same scientific theory that we’ve used to understand the limits of evidence against a single couple bottleneck. The same mathematical theory is used to understand the evolution of cancer, the evolution of species, and the size of human populations in the past. Peaceful Science aims to be a trusted resource for people wanting an accurate account of science. With this in mind, I decided to republish this article here. This has become particularly clear in recent years. Now, we can sequence all the genes in a patient’s cancer, and see how they change over time as cancer evolves. Cancer evolves with the same evolutionary mechanisms1 that drive the evolution of new species. Like breadcrumbs marking a path through a forest, cancer evolution leaves information in cellular genomes that evolutionary theory can decode. If evolutionary theory is wrong about the origin of species, why does it work so well for cancer? A common misconception about evolution is that it is dominated by natural selection acting on beneficial mutations (this is often what is meant by “Darwinian” mechanism). However, brilliant mathematical work and genetic experiments in the 1960s and 1970s by scientists like Haldane and Kimura demonstrated that evolution, at the genetic level, is usually dominated, instead, by the drift of neutral or near-neutral mutations. So most of the genetic differences between different lineages were either non-functional or not beneficial enough for natural selection. Only a few of the differences were fixed by natural selection. This is one reason biologists say that Darwinian evolution2 is quantitatively less important than non-Darwinian evolution (e.g. neutral drift, neutral draft,3 and other mechanisms) in explaining the complexity in genetic differences between species. In place of beneficial and neutral mutations, Cancer biologists often talk about “driver” and “passenger” mutations. The driver mutations are the ones that cause cancer, by conferring new abilities on the cancer cells. The passengers have no strongly selectable function: they are neutral. Rather than by natural selection, these neutral mutations are fixed by other mechanisms, like neutral drift. 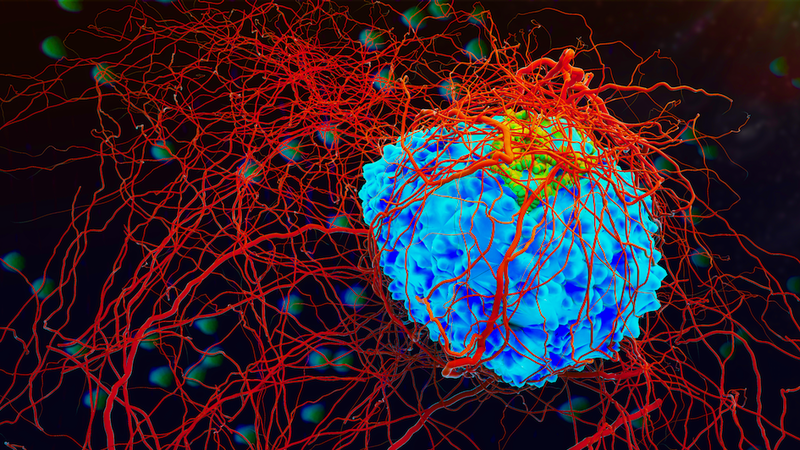 Any individual cancer cell will have tens, hundreds, or even thousands of mutations. But only a few4 of the mutations are drivers that are selected by natural selection. We know this fact from direct experimentation; only a small handful of mutations (of the thousands we observe) can actually induce cancer. This is exactly what we expect from neutral evolutionary theory: drivers are vastly outnumbered by passengers. This is true for cancer, and it is also true for the evolution of new species. For example, the vast majority of genetic differences between humans and chimpanzees are neutral, and were fixed by neutral mechanisms like drift and draft. Over the last 6 million years, our ancestors explored hundreds of billions of mutations,5 tens of millions of these mutations were neutral and drifted into our genomes, and perhaps just a few thousand mutations were functionally important enough to be selected by natural selection. Phylogenetics is powerful because there is so much historical information in genetic data. This information traces the ancestry of cancer cells. For example, one study used phylogenetics to map the ancestry of cells in a colon with a large tumor.6 This analysis showed that the cancer arose from a mutated original cell that also gave rise to neighboring regions of the colon and nearby polyps. The genetic mutations in the colon are in a “nested clade” pattern, exactly as evolution predicts.